Launched in 2004, Andrea Fohrman’s jewelry line is the perfect combination of timeless and enchanting modernity filled with colors, unique gemstones and genuine fun. Raised in the lush canyons of Northern California, the LA-based designer draws its inspiration from nature, canyons and sunlit forests. Introducing herself as an « independent fine jewelry company », Fohrman creates feminine and sophisticated pieces with a laid-back Californian touch, she embodies to perfection. 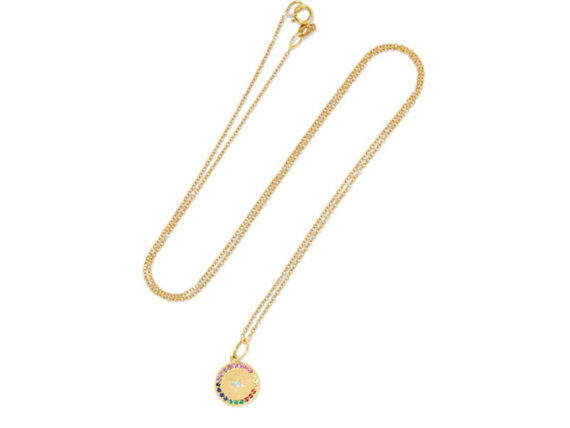 Her last collection is inspired by the lunar phase and the colorful stones that Andrea handpicks from her travels all over the world, giving each piece a very personal feeling. The Tucson Jewelry and Gem show also seems to be her jewelry playground where she finds original and unique gemstones no one has seen or set before. 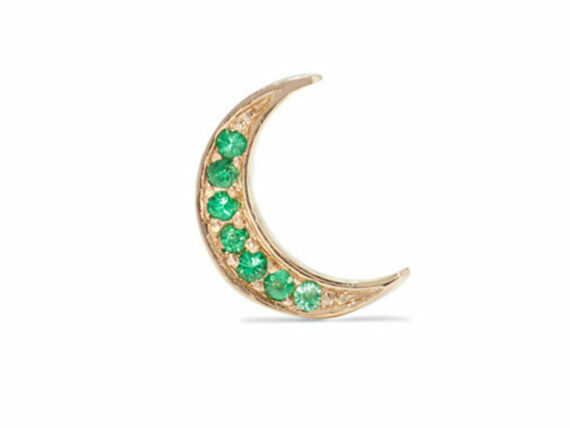 Handmade on 14-carat gold, her iconic stud earrings feature a crescent-shape design encrusted with emerald, sapphire or pink sapphire, depending on your choice. 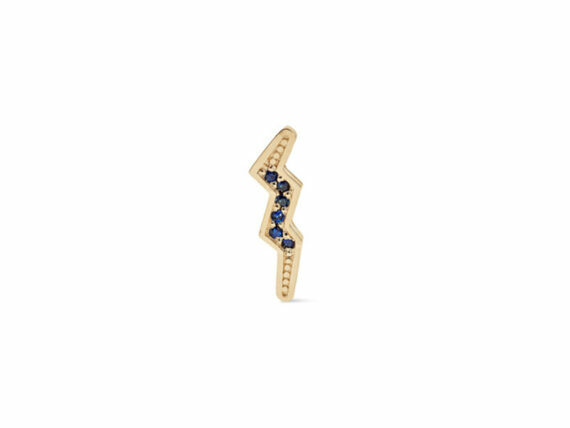 Paired with the diamond version of the mini-lightning bolt earrings it gives a contrasting match and feminine touch to one’s style. According to Andrea Fohrman, her creations aim to make people want to wear her jewelry to feel connected. As an echo to the Earth conexion, the full moon necklace frosted with delicate gems seems to honor significant milestones into your life. Acclaimed and desired by stylists and editors around the world for her use of colors, her enamel layering and incrusted stones, Andrea Fohrman infuses contemporary sensibility in her delicate jewelry. 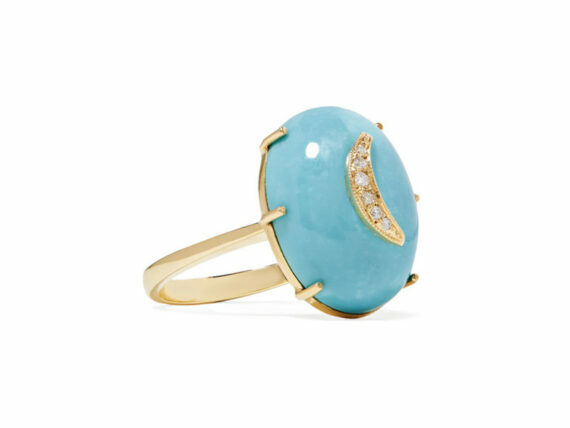 Her rings collection combines reminiscent of antique jewelry and art deco style, like the crescent moon ring set with flawlessly smooth turquoise centered by a delicate diamond-encrusted crescent moon. We love the stunning 13.40-carat lapis lazuli ring set with a diamond crescent moon. The designer offers us the perfect cocktail ring piece; you can easily layer with her eponymous celestial styles.